The Air Force is shifting its cyber operations to Air Combat Command, the service announced on June 7, a decision designed to bolster its digital combat readiness. Previously, cyber responsibilities in the Air Force were under Space Command. 24th Air Force is getting a new commander. 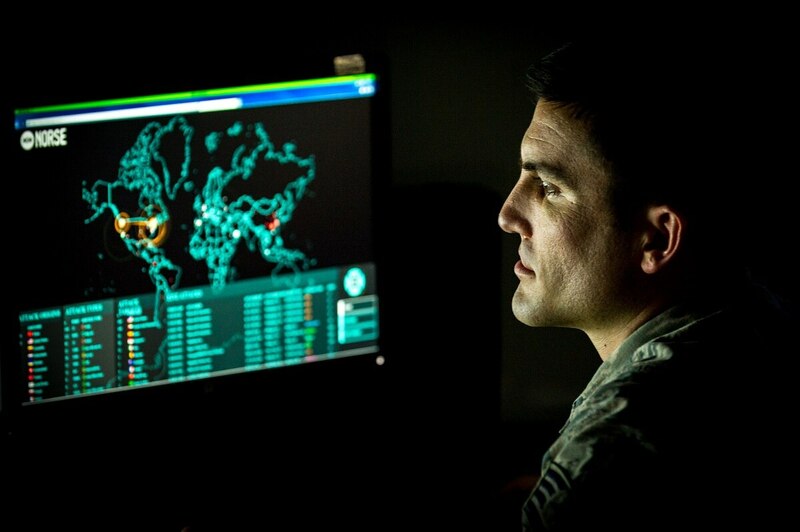 “Integrating cyber operations and intelligence in cyber capabilities under one command is a significant step towards enhancing our war-fighting capabilities to conduct multidomain operations,” said Gen. Jay Raymond, head of Air Force Space Command, in a statement. Seventy-two airmen and civilians will be reassigned from Peterson Air Force base in Colorado to Virginia because of the realignment, according to the Colorado Springs Gazette. The shift means that cyber operations will return to Air Combat Command, where it was previously located. “This move will drive faster decisions as we fight by realigning the cyber operations and intelligence, surveillance and reconnaissance missions under the same command,” Secretary of the Air Force Heather Wilson said in a statement. Air Combat Command is expected to take over responsibilities in the summer of 2018.